One of these players is outfielder Mike Tauchman. Selected by Colorado in the 10th round of the 2013 MLB Draft, Tauchman is attacking the opportunity to serve as one of the Rockies’ backup outfielders in 2018. 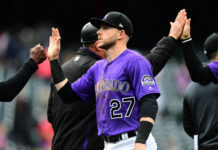 At 27, Tauchman is looking to finally stick at the big-league level this season with his well-rounded game, which includes multi-dimensional defensive ability, speed on the base paths and a solid, all-around approach at the plate. Tauchman owns a career .301 batting average in the minor leagues and was a force last year in Triple-A Albuquerque where he hit .331. 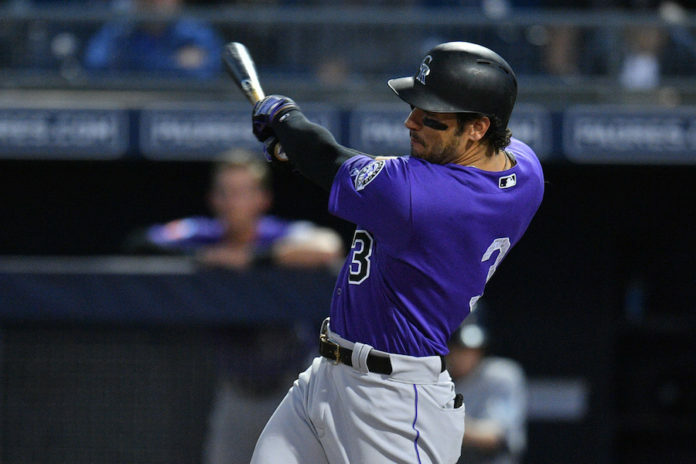 With the Rockies outfield situation hazy after 2018 when Charlie Blackmon and Carlos Gonzalez become free agents, now is the time for Tauchman to take the next step and establish himself as a potential outfielder of the future for the club.